Sen. David Vitter (R., La.) is questioning the Treasury Department’s withholding of thousands of pages of emails concerning a potential carbon tax bill from a nonprofit conservative think-tank. 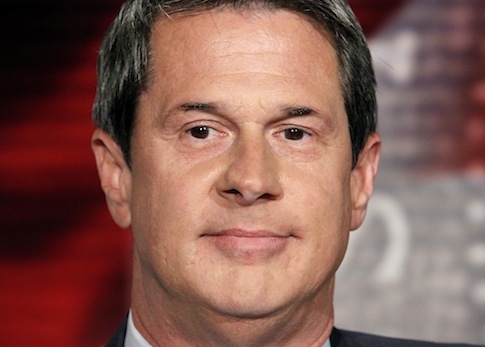 Vitter said in a letter sent Tuesday to Treasury Secretary Tim Geithner that he was "troubled" by the claims the agency is using to stonewall a Freedom of Information Act request from the Competitive Enterprise Institute (CEI) seeking emails about a carbon tax. CEI filed a FOIA request on Aug. 8 seeking about 7,300 emails the agency has acknowledged to exist concerning "carbon" from the Treasury Department Office of Environment and Energy. Treasury failed to respond to the FOIA request within the legally required 20-day period, according to CEI. It also told the think tank the records were not of significant public interest and that the agency would charge at minimum $1,400 to photocopy the electronic records which were requested in digital format. "Employing such tactics to force a not-for-profit group into an expensive and time-consuming (transparency delaying) process, keeping public records of obvious public interest and policy relevance from scrutiny, is patently without merit," Vitter wrote in the letter. "In short, I am deeply concerned that Treasury is employing such tactics, avoiding its obligations under the federal government’s most important ‘transparency’ statute in order to delay disclosure of information the public is owed." Vitter also requested an economic impact analysis of a carbon tax from Treasury and for the department to provide a list of all outside organizations the agency has engaged with or received input from on the matter. Although a White House official said the administration "has not proposed nor is planning to propose a carbon tax," President Barack Obama signaled in his first press conference since being reelected that he might be open to pursuing a more aggressive climate agenda. Talk of a possible carbon tax has escalated on Capitol Hill with a second term secured for the Obama administration and a firm Democratic majority in the Senate. CEI senior fellow and attorney Chris Horner has filed a lawsuit seeking to force disclosure of the records. Horner, author of the recent book The Liberal War on Transparency, called Treasury’s actions a "cartoonishly exaggerated case study" of the barriers the Obama administration "throws in the path of taxpayers when they are on to something." "Here, demanding thousands of dollars to photocopy electronic mail, which is routinely copied to a disc for a quarter, and insisting that discussions of a massive new tax about which they've said nothing publicly, would not significantly inform the public," Horner said in a statement to the Free Beacon. "If this is the kind of thing they're willing to say publicly, I can't wait to see what they've been saying to lobbyists, bundlers, and other special interests. And we will." The Treasury Department did not immediately return requests for comment. This entry was posted in Politics and tagged David Vitter, Obama Administration, Progressive Movement, Think Tanks, Tim Geithner, Treasury Department. Bookmark the permalink.